I have recently become a bit of a Pinterest junkie, and have been pretty obsessed with pinning away in my quest for a super-cute, pastel-coloured life. There's things I want to eat, things I want to wear, things I want to own, ombre things, sweary things, and things to cheer me up on seriously scowly days - it's just the perfect scrapbook (and if you aren't using it and like all those things, get on it!). But one of the things Pinterest is particularly good for, is keeping track of crafty DIYs that you'd like to try one day. Here's a few of my favourites that I have pinned (which, er, may or may not be part of my Christmas crafting list - so pals, look away now!). 1. Caroline from burkatron has long been one of my favourite bloggers (beautiful nail art & easy DIYs always win me over), and I love how her bunny trinket dish is super cute, but also seriously simple to do. 2. Wrapping up presents is one of my favourite parts of gift-giving, and I love these honeycomb gift toppers. SO CUTE. 3. I'm getting some prints to put up on my bedroom wall, and this glittery wall hanging caught my eye. 4. I like the moon and I like anything with even the smallest hint of mustard, so this moon clock ticks all my boxes. 5. I'm also obsessed with cacti and succulent plants. I won't let myself buy anymore (I really own more plants than a one-bedroom flat can hold), so a cactus pillow might be the answer. 6. Aaaand, look at this hanging planter! I reckon it would be seriously good Christmas present material (you always get extra brownie points if you craft things yourself!). 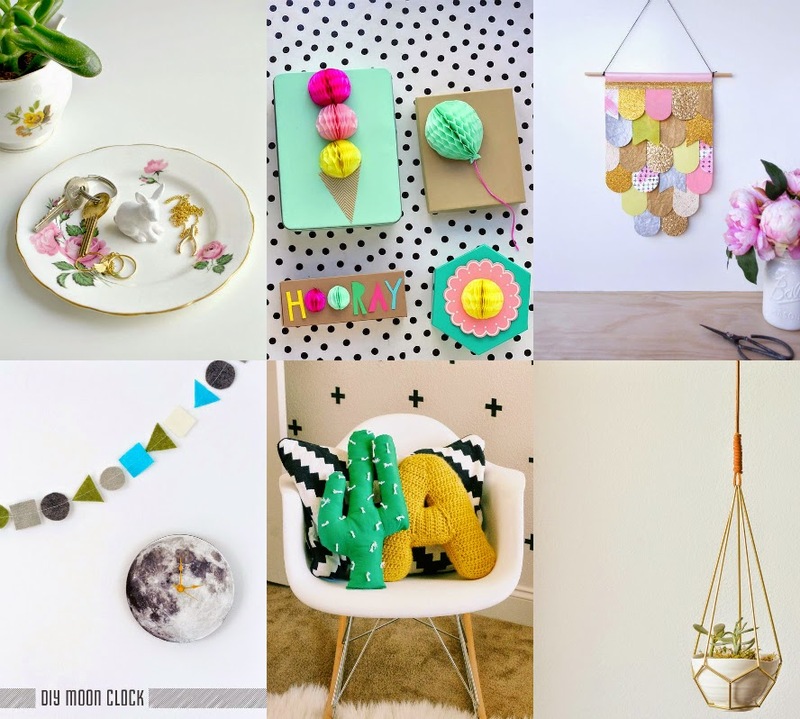 If you want any more crafty inspiration you can also follow my board. If you've got a Pinterest account please comment with the link too! 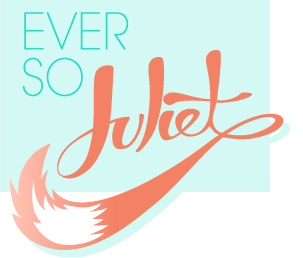 Follow Ever So Juliet's board Craftiness on Pinterest.